Alternators— An a.c. generating a machine is called an alternator or AC generator. it is used to generate alternating EMF in accordance with the Faraday's laws of electromagnetic induction - whenever a conductor is rotated in magnetic flux, then it cuts the magnetic lines of force, and an e.m.f. is induced in it.' the working principle of an alternator is the same as that of a DC generator. an alternator requires a magnetic flux, conductor and the mechanical power for generating the EMF. The e.m.f. generated by the alternator is obtained through slip-rings or directly from the stator windings, depending on the types of alternator used. generally, the field of a letter is excited with a DC generator, which is mounted on the alternator's shaft. Hence an alternator is also known as a separately excited generator. 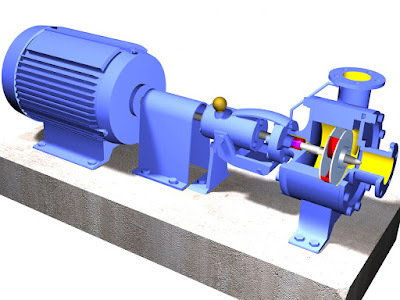 What Is Water Turbine Alternator and How To Work It? Water Turbine Alternator— In this alternator, the rotor is rotated with the force of water. the water is stored in the form of a small lake, by making a barrage on a river or canal. 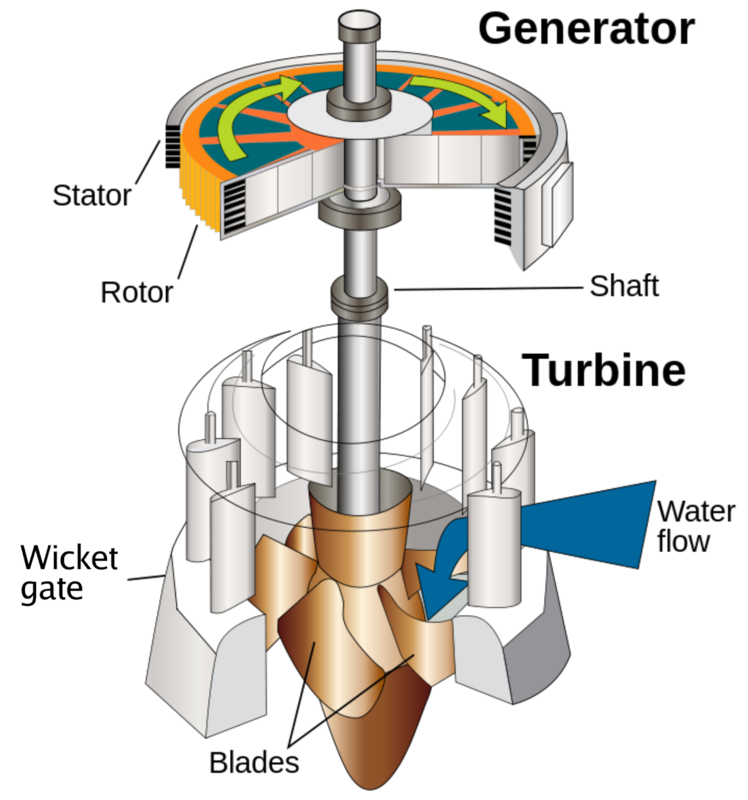 then a water-fall is produced with stored water, which rotates the turbine and which in turn rotates the rotor. the speed of this alternator is low due to water speed, and thus obtain the required frequency, the number of poles is to be kept more, see figure. What Is Steam Turbine Alternator? Steam Turbine Alternator— The force produced by steam is greater than that produced by water. the steam operates a steam-engine and the engine operate the alternator. the speed of this alternator is high. A 2-pole alternator can generate a frequency of 50 c/s at 300 R.P.M. shown in figure 2. 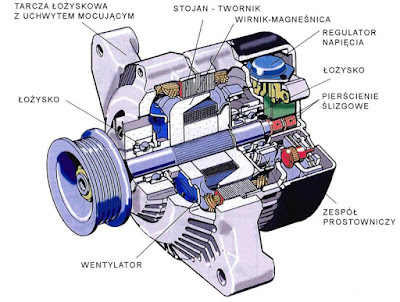 What Is Oil Engine Alternator? 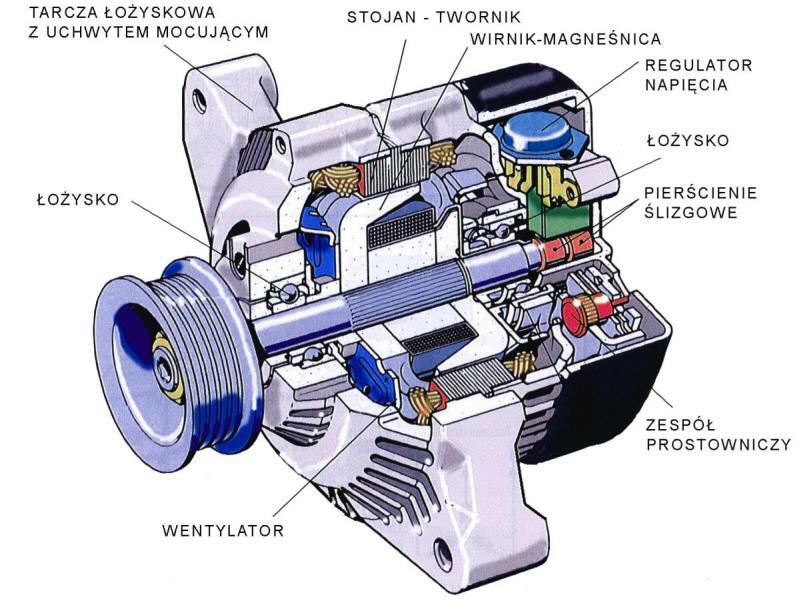 Oil engine alternator- In this generator, the rotor is rotated by diesel or petrol operated engine. since the system is expensive, therefore, it is used for such purpose where water or steam type alternators do not suit or for emergency purposes. What Is Single Phase Alternator? Single phase alternator- A small alternator used to generate the engine.m.f. up to 250 volts, for light and fan purposes, is usually single phase type. What Is Three Phase Alternator? Three-phase alternator- this alternator can generate 650 to 6600 volts or even more. It is used for light and fan as well as for power purposes. What Is Rotating Armature Alternator? Rotating armature alternator- it is similar to a generator in construction. It employee slip-rings in place of the commutator. The poles are kept stationary, and the armature rotates between the poles. The e.m.f. is obtained through the sleep-rings. this alternator usually has an output capacity. What Is Rotating Field Alternator? Rotating field alternator- In this alternator, the rotor contains the magnetic poles while the armature is kept stationary. hence, it can run at high speed. 〉 Rotating field is comparatively light in weight and hence it can run at a high speed. Two slip rings of low current capacity are sufficient for its field excitation circuit. › Higher voltages can be generated because of the high speed of the rotor. › It is easier to insulate armature coils designed to work at high voltages because these are placed in the stator portion. If the armature is kept rotating, then the high insulation of armature coils will make it bulky. Hence, it will not be able to rotate at a high speed. › The armature winding, placed in star or Delta system, can directly be connected to the distribution cables.